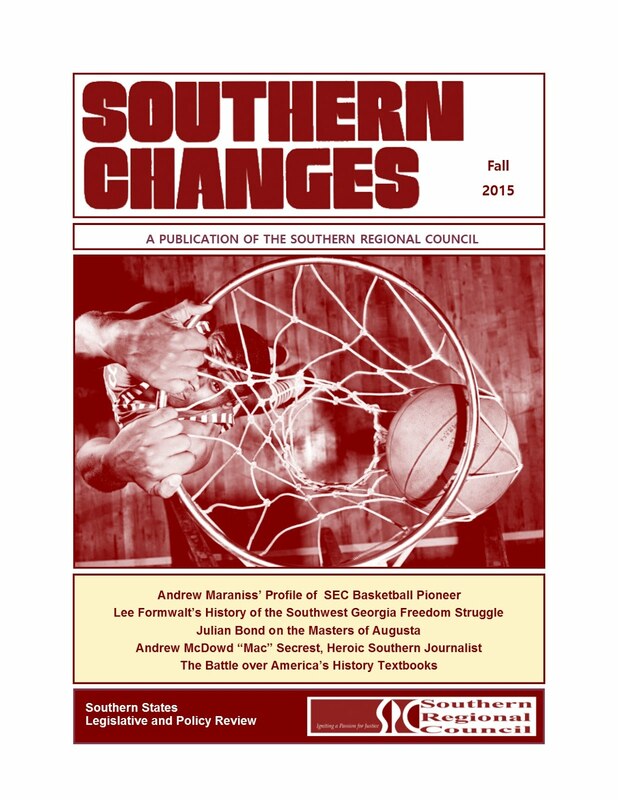 The Southe rn Regional Council (the "Council") recently stepped up its efforts to preserve its major collection of archival material related to the movement for social justice in the South. 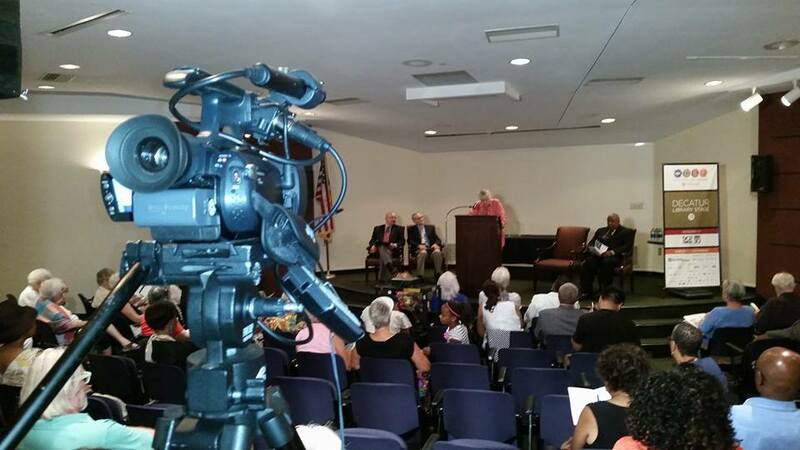 These efforts received a boost with new additions to the Council's archival repositories at Emory University and the Atlanta University Center. The Council originated in 1919 as the Commission on Interracial Cooperation with a mission to oppose lynching, racial violence, and peonage, and to educate southerners concerning the worst aspects of racial abuse. 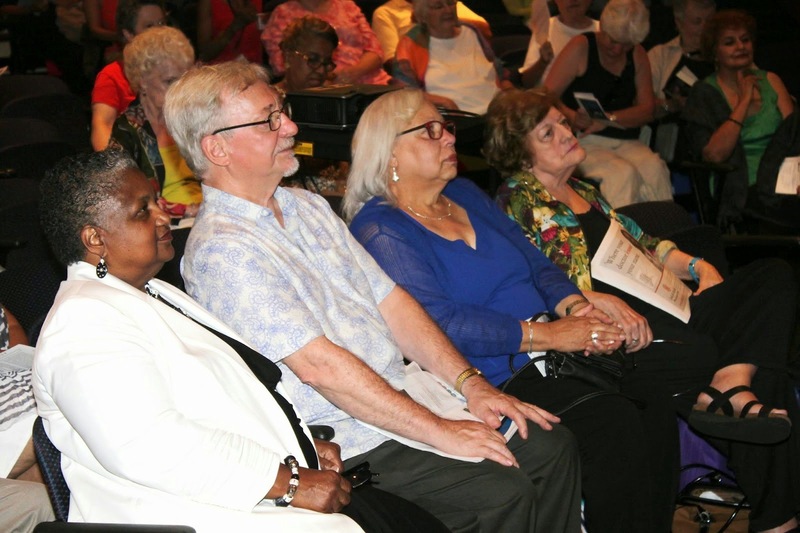 Based in Atlanta, the Commission formed local and state level committees throughout the South and, in the 1920s, there were some 800 local interracial committees. 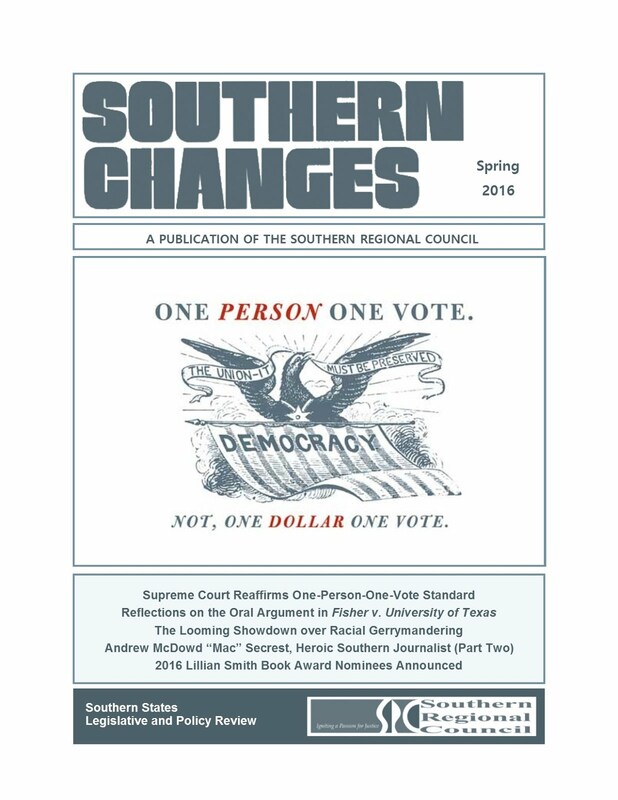 In 1944, the Commission merged into the Southern Regional Council, and since then, has served as a think tank and a resource in the fight to end the legal segregation, promote racial justice, protect democratic rights, and broaden civil participation in the American South. As early as 197 8, the Council began collaborating with major institutions to preserve its vast collection of archival materials. 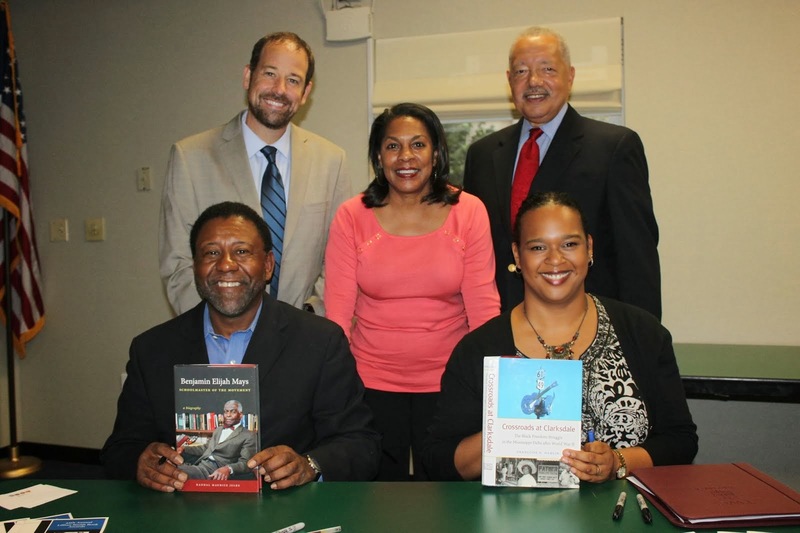 A major collection of material from the Commission on Interracial Cooperation and the Southern Regional Council and its Voter Education Project has long been housed at the Robert W. Woodruff Library in the Atlanta University Center. 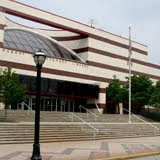 A major news clipping collection, including approximately 1,000,000 newspaper articles and 3,000 whole newspapers published between 1944 and 1975, is now housed at the Auburn Avenue Research Library of the Atlanta Fulton Public Library System. 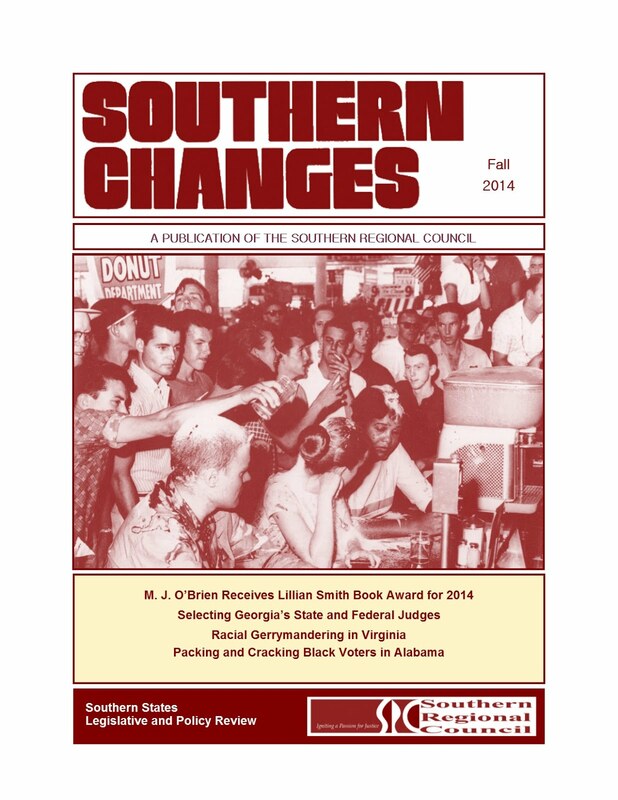 Emory University has maintained back issues of Southways Magazine and a major media collection, including transcripts, scripts, administrative files, original recordings from the Will the Circle Be Unbroken, the Council's audio history of the civil rights movement. The Council's newest donations to Emory and to the Atlanta University Center include archival material from the 1970s, 1980s and 1990s. The beginning of the spring semester marks a significant turning point for the Southern Regional Council's Winter Internship Program for 2010. Participants in this year's program – students at two of the South's leading universities – have made a critical difference in the Council's ability to execute on a number of its current projects. Kevin Bronski, an Atlanta native and graduate of Atlanta's Woodward Academy, is a member of the Class of 2010 at the University of Mississippi at Oxford, pursuing a double major in managerial finance and risk/insurance. Kevin is an entrepreneur by nature, having started a pressure washing service at the age of 17 , and he now owns and operates a lawn management company in Oxford. He was a semifinalist in the Gillespie Business Plan Competition in 2008 and 2009 and is currently pursuing a private pilot's license. He plans to seek a law degree and pursue a career in private equity. 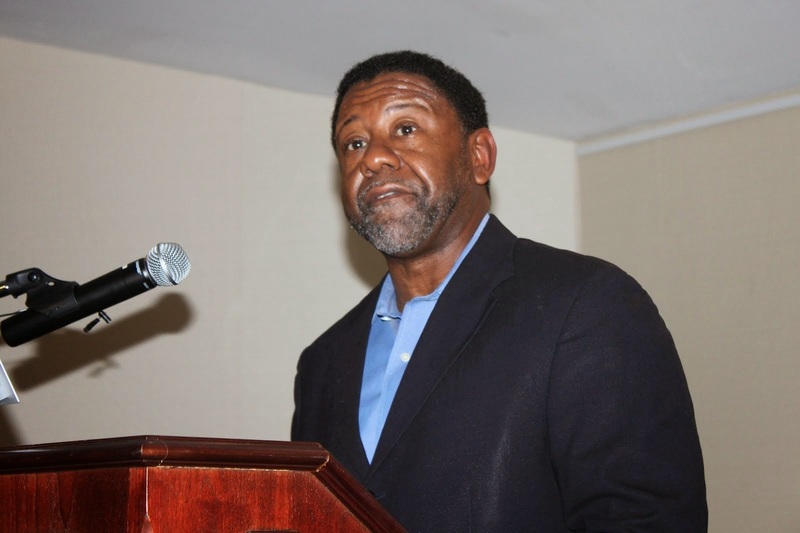 Samuel Sykes is also a graduate of Woodward Academy, where he participated in football, wrestling, lacrosse, the key club, intra-murals and the stu dent government association. Sam is a member of the Class of 2010 at Southern Methodist University, pursuing a major in in Political Science. His work experience spans a range of industries, including construction, law and hospitality. His entrepreneurial experience includes the establishment of a Christmas-time tree removal service. He currently serves as Youth Chairman for Santa for Seniors, and he is a longtime volunteer with Habitat for Humanity. His outdoor pursuits include canoeing and hiking. initiated a review of the intellectual property rights associated with Will the Circle be Unbroken, the SRC's audio history of the civil rights movement. 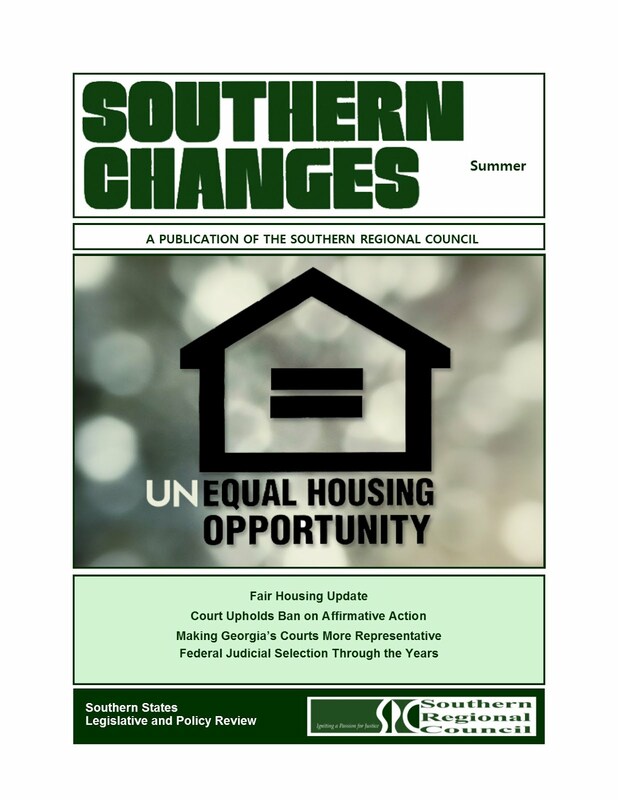 "We are deeply grateful to Kevin Bronski and Sam Sykes for their contribution to the work of the Southern Regional Council," said Charles Johnson, President of the Council. "They have approached their projects with enormous energy, dedication, and initiative, and their contributions have been invaluable. If they are representative of their generation, then our nation's future is truly in good hands." 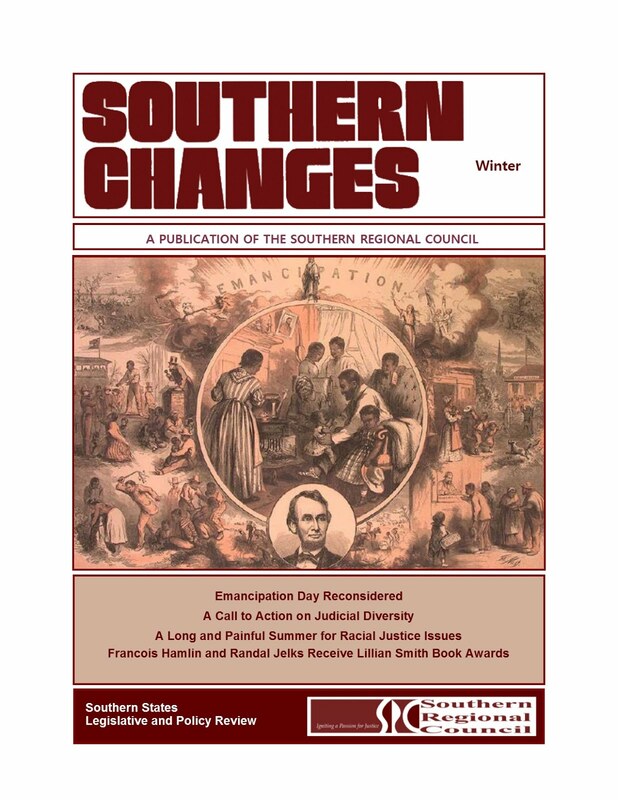 The Southern Regional Council was founded in 1919 to combat racial injustice in the American South. 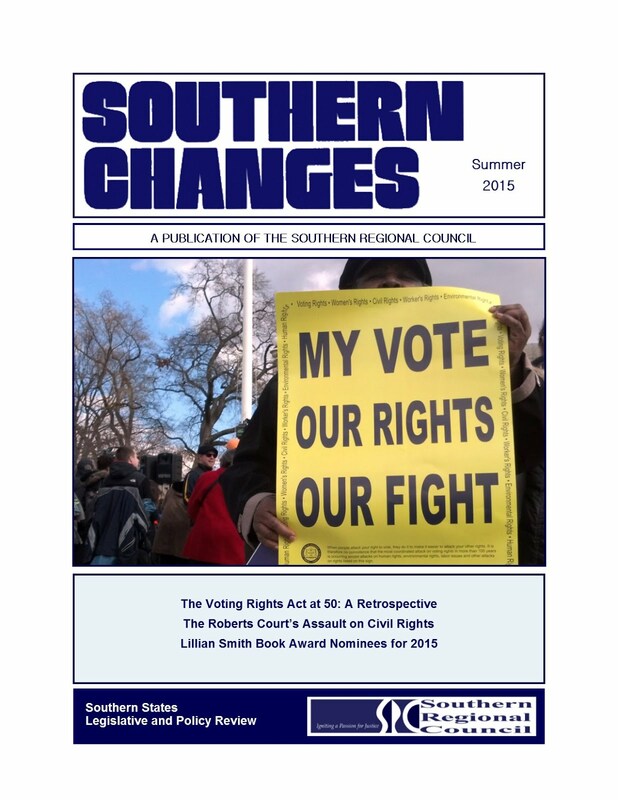 The Council recently completed a survey of coalitions among African American and Latino communities in the South. 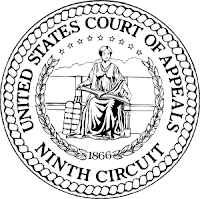 On January 5, 2010, a panel of the U.S. Court of Appeals for the Ninth Circuit held in Farrakhan v. Gregoire that the State of Washington’s felon disenfranchisement law violated Section 2 of the federal Voting Rights Act because it disenfranchised a disproportionate number of racial minorities. The Washington law prevented felons from voting until they were released from prison and off parole. The evidence presented by experts during the trial showed that the State of Washington’s criminal justice practices disproportionately affected minorities beyond that which could be explained by race neutral reasons. African Americans were more than nine times more likely to be incarcerated than Whites, even though the ratio of Black to White arrests for violent offenses was only 3.72:1. 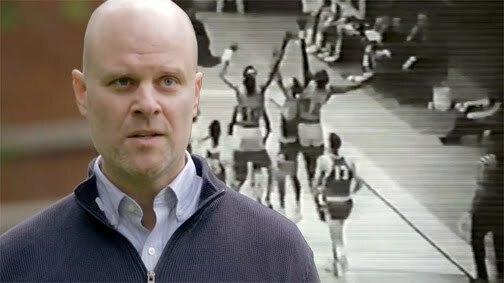 The evidence also showed that in one city, Native Americans were more than twice as likely to be searched as Whites; African Americans were more than 70 percent more likely to be searched than Whites; and Latinos were more than 50 percent more likely to be searched of those stopped for traffic violations. The evidence also showed that African Americans were nearly twice as likely to be searched as Whites, and Latinos were three times more likely to be searched. However, searches of Whites more frequently resulted in the seizure of contraband than searches of African Americans and Latinos. The Seattle Wa shington Police Department arrested African Americans and Latinos for drug possession at rates much higher than their proportion among drug users. Whites were arrested for drug possession at rates much lower than their proportion among users. There was also evidence of discrimination in bail practices. Minority defendants were less likely to be released on their own recognizance than others, even after adjusting for differences among defendants in the severity of their crimes, prior criminal records, ties to the community, and the prosecuting attorney’s recommendation. 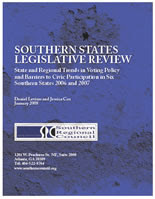 A violation of Section 2 of the Voting Rights Act is established when the evidence shows that under the “totality of the circumstance of the local electoral process,” the practice being challenged has the result of denying a racial minority group an equal opportunity to participate in the political process. A showing of discriminatory intent is not required. The case was decided by a three-judge panel, with one judge dissenting. Three other appellate courts; the 1st Circuit in a Massachusetts case, the 2nd Circuit in a New York case, and the 11th Circuit in a Florida case held that vote denial challenges to felon disenfranchisement laws cannot be brought under the Voting Rights Act. 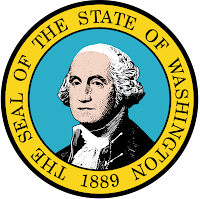 Washington’s Attorney General said he will seek a rehearing before all of the Circuit judges or appeal directly to the U.S. Supreme Court. This case could have far reaching consequences, as most states have felon disenfranchisement laws and many of them have racial disparities similar to those found in Washington. However, the Supreme Court’s current majority has not been receptive to discrimination claims. 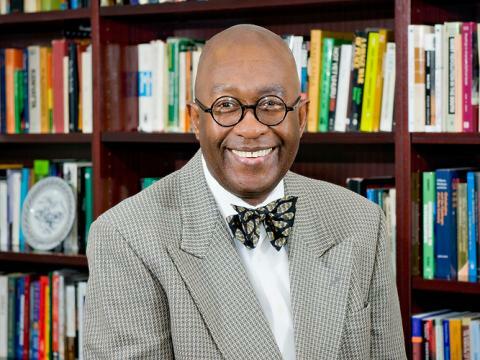 It has suggested last term that a different provision of the Voting Rights Act, Section 5, might be unconstitutional.